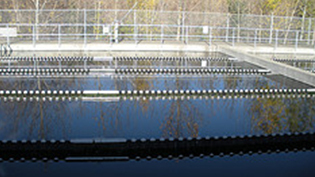 Antibiotic-resistant bacteria may grow in water-treatment plants because of flushed medication, study suggests. 05-15-09 RODALE NEWS, EMMAUS, PA—There are a lot of bacteria mingling about in a wastewater treatment plant. In fact, the process of breaking down organic matter depends on beneficial bacteria. But with all those microbes confined in a relatively small area, both helpful and dangerous strains mix, multiply, and interact with antibiotics found in the wastewater. And sometimes the result is the emergence of superbugs, or bacteria that don’t respond to antibacterial medicines, according to a study that will appear in the journal Science of the Total Environment this month. THE DETAILS: Researchers tested water during three different stages of treatment: at a wastewater treatment plant, at a site upstream from where the treated water is discharged into a river, and at a spot downstream from the discharge site. They were looking for Acinetobacter, a group of drug-resistant bacteria that’s becoming more prevalent in hospital settings. Like Methicillin-resistant Staphylococcus aureus, or MRSA, another antibiotic-resistant bacteria of growing concern, Acinetobacter can infect some people without causing any problems. But the bacteria can also cause pneumonia and serious blood or wound infections. In the study, researchers found 366 strains of Acinetobacter in the sites they tested. Levels of multidrug-resistant Acinetobacter were nearly 40 percent higher in the final treated water, compared to samples taken of wastewater not yet treated. This implies that the wastewater treatment process contributes to the selective increase of antibiotic-resistant bacteria in aquatic environments, say the study authors. “A conventional wastewater treatment plant isn’t designed to get out all antibiotics,” says study coauthor Chuanwu Xi, PhD, assistant professor of public health at the University of Michigan in Ann Arbor. And exposure to those antibiotics during treatment seems to promote the growth of bacteria that can resist them. Next:The global antibiotic resistance epidemic: how can we stem the tide?